My recent experience, described here, is quite shocking (pun intended)! 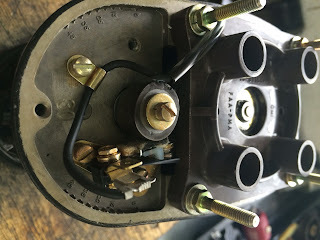 After a pleasant flight around the Isle of Man in my Bulldog last weekend, I discovered (to my horror) when performing the pre-shutdown checks that my right magneto was completely dead (instead of RPM dropping a bit, the engine simply stopped when selecting "R" on the ignition knob). Somewhat strangely, I noticed no loss of performance during the flight. Before take-off, the engine run-ups were nominal (both magnetos working as expected, within the allowable limits of "max drop 175, max difference of 50" when switching between "L", "R" and "Both"). This shouldn't happen to a new magneto! The magneto in question was replaced less than six months ago, during the aircraft's annual inspection. Rather than have both (left and right) overhauled (which happened to be due), I opted to have them replaced with new. By "new", this actually meant "factory rebuilt", the only option available for these types. Being based on an island, with a water-crossing (of some degree) on almost every flight, in the interests of safety, I prefer to renew key components rather than have them overhauled. I had flown the aircraft just under 15 hours before the magneto failure last weekend. Back in the hangar, having made the aircraft safe (by removing all spark-plug leads, and removing a spark-plug from each cylinder -- to make it easy to hand-turn the engine), I hooked-up the E50 timing synchroniser to the magneto, hand-turned the prop through a few cycles, and watched the lights on the E50 remain steady (instead of sequencing on-and-off as the points opened). This gave a strong clue that the magneto had failed. Just to be sure, I disconnected the "p-lead" and performed the test again: same result, lights stayed on (this latter test verifying that it was indeed a magneto fault and not some fault with the "p-lead" safety cable). "Due to an assembly error, the internal cable leading from the coil was too long, and was routed too close to the rotor. They came into contact, and the spinning rotor wore through the cable insulation and shorted the coil (see attached photos). The resulting heat dried out the bearings. 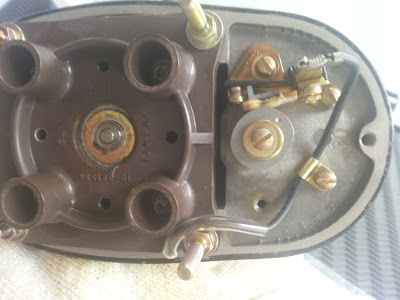 Best to get a replacement magneto under warranty from the factory, rathe​r than repairing this one...and check the left magneto, since it was built around the same time as this one!" Always perform every check in the checklist (I'm fortunate: the RAF drilled that discipline into my head). Each and every check is included on the list for a reason. It is extremely useful to have two magnetos rather than one, especially when flying over the sea! So, if you have TCM/Bendix 1200 SERIES magnetos on your aircraft, don't be surprised if a Mandatory Service Bulletin appears pertaining to this issue...and even if no such bulletin appears, I recommend you have your magnetos checked just to be sure. What about the left magneto ? Just to be sure, since it was replaced at the same time as the faulty right magneto, I had the left magneto removed and inspected. It got the "all clear". 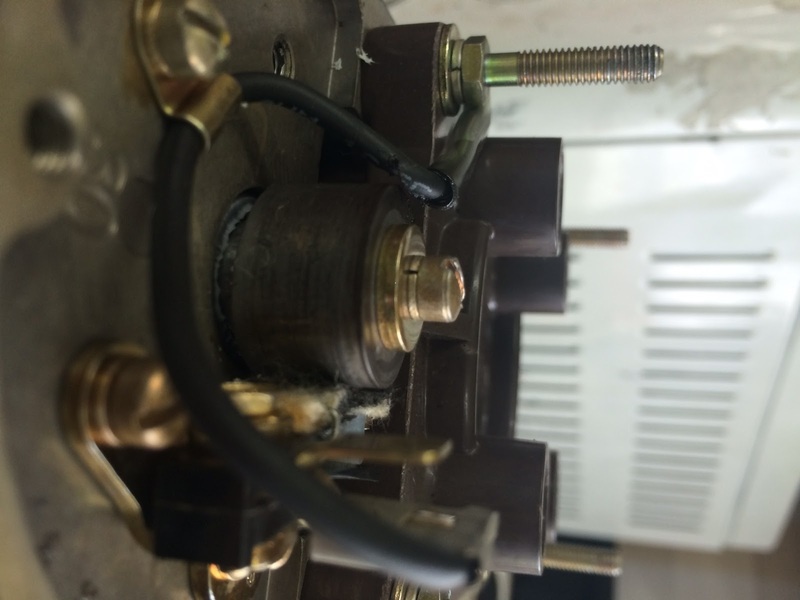 As can be seen in the photograph below, the cable lies well clear of the rotor, as it should. Left magneto inspection (just to be sure, since replaced at same time as the faulty right magneto): observe that the cable is lying in the correct manner, well clear of the rotor. For greater convenience for iNavCalc Twitter App users, I've recently added an automatic briefing function for METAR/TAFS and NOTAMS. Basically, the twitter.com/@FlyLogical feed now publishes a METAR/TAF briefing every four hours, and a NOTAM briefing once per day. The list of stations used in these briefings can be added to by any registered FlyLogical.